Alicia Keys is no stranger to the Grammy Awards stage, however the 15-time Grammy winner will be stepping on the stage in a new capacity this year. 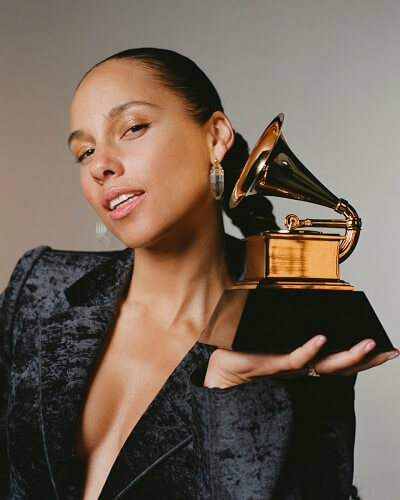 Alicia Keys has been tapped to host the 61st Annual Grammy Awards set for Sunday, February 10, 2019. The awards show will air live on both coasts from the Staples Center in downtown Los Angeles on CBS beginning at 8pm ET/5pm PT. “Alicia is one of those rare artists who melds true musical genius with heartfelt emotional lyrics to create a unique approach to everything she does. We have no doubt that she’ll bring all of that as she guides millions of Grammy viewers through what we believe will be a very special show in February,” said Grammy Executive Producer Ken Ehrlich. In addition to being a Grammy Award winner, Keys is an actress, producer, and a New York Times bestselling author. She’s sold more than 30 million records and uses her fame to help with causes close to her heart. The 2019 Grammy Awards will be directed by Louis J. Horvitz. David Wild and Ken Ehrlich are on board as writers. Ehrlich and Ben Winston are executive producing. AEG Ehrlich Ventures is producing for the Recording Academy.